^ a b c d e f g Yoshida, F.; Nakamura, T (2005). “Size distribution of faint L4 Trojan asteroids”. The Astronomical journal 130 (6): 2900–11. Bibcode 2005AJ....130.2900Y. doi:10.1086/497571. ^ a b c d e f g h Nicholson, Seth B. (1961). 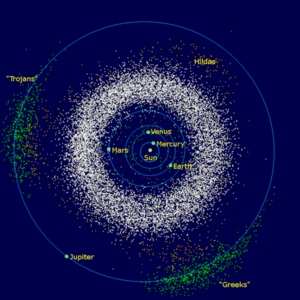 “The Trojan asteroids”. Astronomical Society of the Pacific Leaflets 8: 239–46. Bibcode 1961ASPL....8..239N. ^ a b c d e f g h i j k l Jewitt, David C.; Sheppard, Scott, and Porco, Carolyn (2004). “Jupiter’s Outer Satellites and Trojans”. In Bagenal, F.; Dowling, T.E. ; McKinnon, W.B. (pdf). Jupiter: The planet, Satellites and Magnetosphere. Cambridge University Press. http://www.dtm.ciw.edu/users/sheppard/pub/Sheppard04JupChapter.pdf. ^ Connors, Martin; Paul Wiegert & Christian Veillet (28 July 2011). “Earth's Trojan asteroid”. Nature (Nature) 475 (7357): 481–483. Bibcode 2011Natur.475..481C. doi:10.1038/nature10233. PMID 21796207. ^ a b c d e f g h i j k Marzari, F.; Scholl, H.; Murray C.; Lagerkvist C. (2002). “Origin and Evolution of Trojan Asteroids” (PDF). Asteroids III. Tucson, Arizona: University of Arizona Press. pp. 725–38. http://www.lpi.usra.edu/books/AsteroidsIII/pdf/3007.pdf. ^ a b c d e f Jewitt, David C.; Trujillo, Chadwick A.; Luu, Jane X. (2000). “Population and size distribution of small Jovian Trojan asteroids”. The Astronomical journal 120 (2): 1140–7. arXiv:astro-ph/0004117. Bibcode 2000AJ....120.1140J. doi:10.1086/301453. ^ Einarsson, Sturla (1913). “The Minor Planets of the Trojan Group”. Publications of the Astronomical Society of the Pacific 25: 131–3. Bibcode 1913PASP...25..131E. doi:10.1086/122216. ^ a b Wyse, A.B. (1938). “The Trojan group”. Astronomical Society of the Pacific Leaflets 3: 113–19. Bibcode 1938ASPL....3..113W. ^ a b c d e f Fernandes, Yanga R.; Sheppard, Scott S.; Jewitt, David C. (2003). “The albedo distribution of Jovian Trojan asteroids”. The Astronomical Journal 126 (3): 1563–1574. Bibcode 2003AJ....126.1563F. doi:10.1086/377015. ^ a b c Fernández, Yanga R.; Jewitt, David; Ziffer, Julie E. (2009). “ALBEDOS OF SMALL JOVIAN TROJANS”. The Astronomical Journal 138 (1): 240–250. doi:10.1088/0004-6256/138/1/240. ISSN 0004-6256. ^ a b Nakamura, Tsuko; Yoshida; Yoshida, Fumi (2008). “A New Surface Density Model of Jovian Trojans around Triangular Libration Points”. Publications of the Astronomical Society of Japan 60: 293–296. Bibcode 2008PASJ...60..293N. ^ a b Marchis, Franck; Hestroffer, Daniel; Descamps, Pascal et al. (2006). “A low density of 0.8 g cm−3 for the Trojan binary asteroid 617 Patroclus”. Nature 439 (7076): 565–567. arXiv:astro-ph/0602033. Bibcode 2006Natur.439..565M. doi:10.1038/nature04350. PMID 16452974. ^ a b c Lacerda, Pedro; Jewitt, David C. (2007). “Densities of Solar System Objects from Their Rotational Light Curves”. The Astronomical journal 133 (4): 1393–1408. arXiv:astro-ph/0612237. Bibcode 2007AJ....133.1393L. doi:10.1086/511772. ^ a b c d e Barucci, M.A. 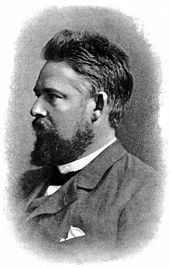 ; Kruikshank, D.P. ; Mottola S.; Lazzarin M. (2002). “Physical Properties of Trojan and Centaur Asteroids”. Asteroids III. Tucson, Arizona: University of Arizona Press. pp. 273–87. ^ Molnar, Lawrence A.; Haegert; Hoogeboom; Melissa J. Haegert, and Kathleen M. Hoogeboom (2008 April). “Lightcurve Analysis of an Unbiased Sample of Trojan Asteroids”. The Minor Planet Bulletin (Association of Lunar and Planetary Observers) 35: 82–84. Bibcode 2008MPBu...35...82M. OCLC 85447686. ^ Yang, Bin and Jewitt, David (2007). “Spectroscopic Search for Water Ice on Jovian Trojan Asteroids”. The Astronomical Journal 134 (1): 223–228. Bibcode 2007AJ....134..223Y. doi:10.1086/518368. http://www.iop.org/EJ/abstract/1538-3881/134/1/223/ 2009年1月19日閲覧。. ^ Dotto, E., Fornasier, S., Barucci, M.A., et al. (August 2006). “The surface composition of Jupiter Trojans: Visible and near-infrared survey of dynamical families”. Icarus 183 (2): 420–434. Bibcode 2006Icar..183..420D. doi:10.1016/j.icarus.2006.02.012. http://www.sciencedirect.com/science?_ob=ArticleURL&_udi=B6WGF-4JT38N8-3&_user=10&_rdoc=1&_fmt=&_orig=search&_sort=d&view=c&_acct=C000050221&_version=1&_urlVersion=0&_userid=10&md5=b23513f67484eaff2979db06148e99a5 2009年1月17日閲覧。. ^ Marzari, F.; Scholl, H. (1998). “The growth of Jupiter and Saturn and the capture of Trojans”. Astronomy and Astrophysics 339: 278–285. Bibcode 1998A&A...339..278M. ^ a b c Harold F. Levison, Alessandro Morbidelli, Crista Van Laerhoven et al. (2007). “Origin of the Structure of the Kuiper Belt during a Dynamical Instability in the Orbits of Uranus and Neptune”. Icarus 196 (1): 258. arXiv:0712.0553. Bibcode 2008Icar..196..258L. doi:10.1016/j.icarus.2007.11.035. ^ Morbidelli, A.; Levison, HF; Tsiganis, K; Gomes, R (26 May 2005). “Chaotic capture of Jupiter's Trojan asteroids in the early Solar System”. Nature 435 (7041): 462–465. Bibcode 2005Natur.435..462M. doi:10.1038/nature03540. OCLC 112222497. PMID 15917801. http://www.oca.eu/michel/PubliGroupe/MorbyNature2005.pdf. ^ Robutal, P.; Gabern, F.; Jorba A. (2005). “The observed Trojans and the global dynamics around the lagrangian points of the sun–jupiter system” (PDF). Celestial Mechanics and Dynamical Astronomy 92 (1–3): 53–69. Bibcode 2005CeMDA..92...53R. doi:10.1007/s10569-004-5976-y. オリジナルの2009年7月31日時点によるアーカイブ。. https://web.archive.org/web/20090731062642/http://www.cds.caltech.edu/~gabern/preprints/osterreich.pdf. ^ Kleomenis Tsiganis, Harry Varvoglis and Rudolf Dvorak (April 2005). “Chaotic Diffusion And Effective Stability of Jupiter Trojans”. Celestial Mechanics and Dynamical Astronomy (Springer) 92 (1–3): 71–87. Bibcode 2005CeMDA..92...71T. doi:10.1007/s10569-004-3975-7. http://www.springerlink.com/content/vp38717557064k15/ 2009年1月17日閲覧。. ^ Levison, Harold F.; Shoemaker, Eugene M.; Shoemaker, Carolyn S. (1997). 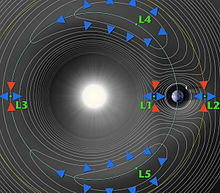 “Dynamical evolution of Jupiter's Trojan asteroids”. Nature 385 (6611): 42–44. Bibcode 1997Natur.385...42L. doi:10.1038/385042a0. http://www.nature.com/nature/journal/v385/n6611/abs/385042a0.html 2009年1月19日閲覧。.